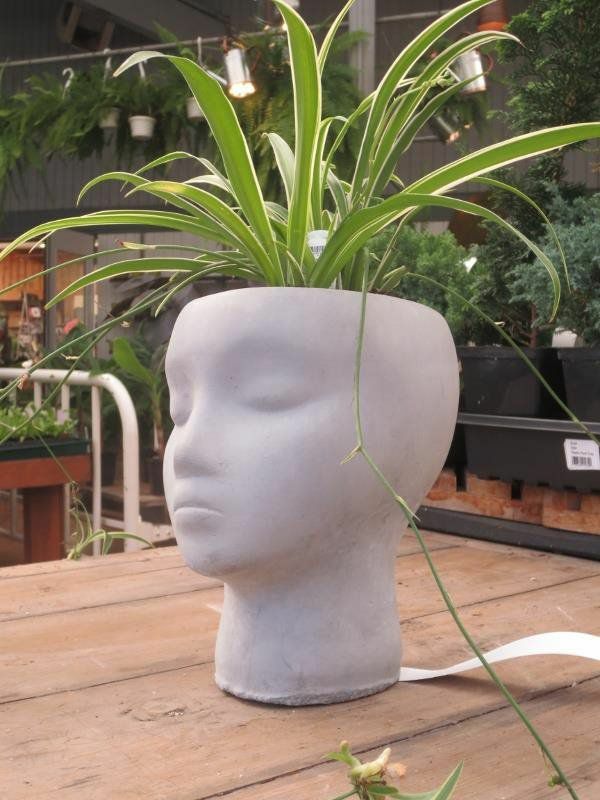 Unique Planters Shaped Like a Head. 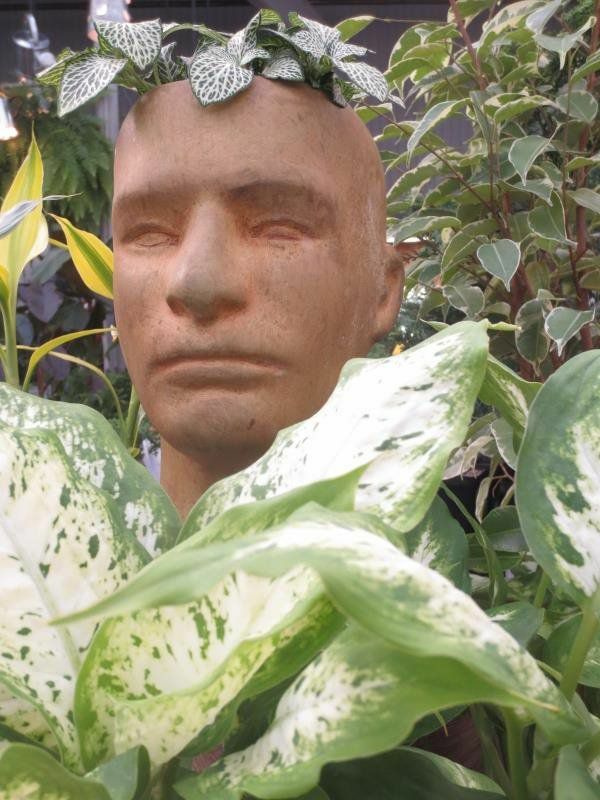 $5 From Each Planter goes to Alzheimer's research! Jenny Gunderson's mom and dad both lived and died with Alzheimer's. Jenny, My Garden Nursery's Co-Owner, wanted to do something to raise money to fight this tragic disease. She needed a way to represent Alzheimer's in a garden. She decided to use the human head because that is where Alzheimer's is. Jenny and her amazing team created a garden in Washington. 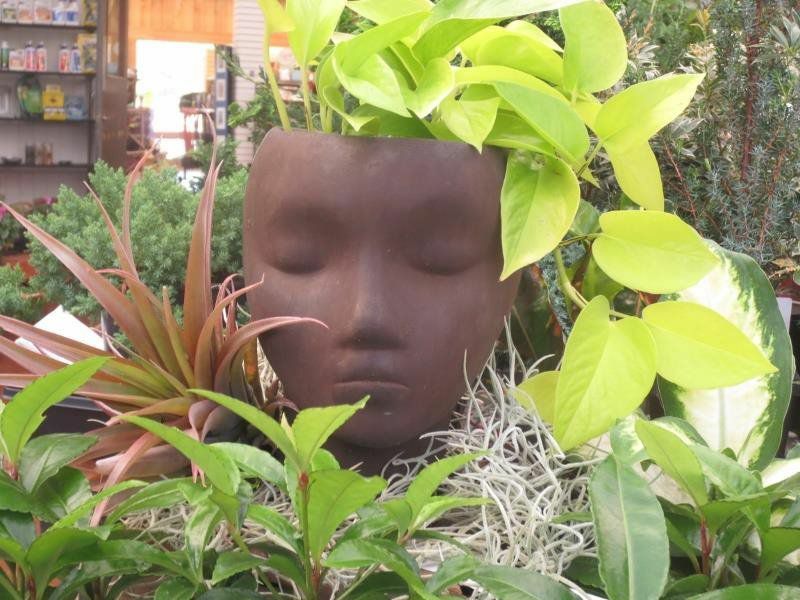 It is called The Plant-a-Head for Alzheimer's Memory Garden. Jenny and the customers of My Garden Nursery have raised over $76,000 for Alzheimer's research since 2006.